This file contains 1 page. It can be used as a literacy center or for independent seat work. Students write a recipe to practice sequential order. All clip art is from Scrappin Doodles. 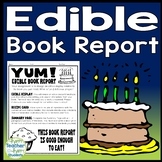 Edible Book Report: Directions, Recipe Card, Rubric & More! Make this pumpkin pie in your classroom with your students this October or November. It is fun and easy to do. 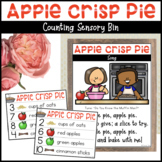 Use the recipe card to send home to parents after the students have created their pies in class. 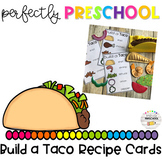 These blank cards are perfect for cooking with your Kinders! 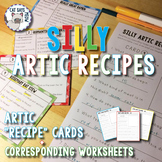 These blank cards allow you or your students to write out the recipe you will be preparing and to follow it in sequence! They are fabulous for learning cooking measurement terms and to help the children follow the recipe step-by-step. This is a fun expository-procedural writing activity where students will draw inspiration from the wonderful Dr. Seuss and his famous book, Green Eggs and Ham. This package comes with templates, success criteria and rubric with descriptive feedback section. A cute, fun, multi-page book report. 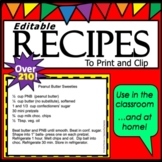 Students will have a blast "making" their own book report recipe. Students must identify title page, setting and main characters. A high quality, 2 page (4 recipe cards) pdf formatted document brought to you by Teachfuzz.com. Recommendation: Print on card stock. 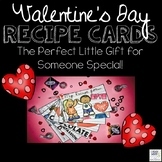 Recipe cards to cut out, laminate (optional) and attach to a key ring. 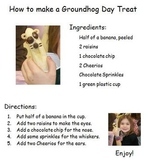 Kids can follow the recipe using their math knowledge to practice weights, measures, addition and fractions, with a tasty treat at the end. Use in conjunction with the Winnie the Pooh activity book. 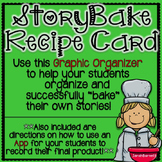 StoryBake Recipe Card - Graphic Organizer for Creative Writing!